Last year these days I was full term pregnant, waiting for my delivery in hospital and was in labour for more than 48 hours. I was not thinking straight and wanted to get over with labour and delivery as quickly as possible. But somehow the time had stopped for me and I was getting miserable by every second. The only thing which kept me going was the fact that I would be meeting my baby girl soon. Other than that the interest in everything else was lost. 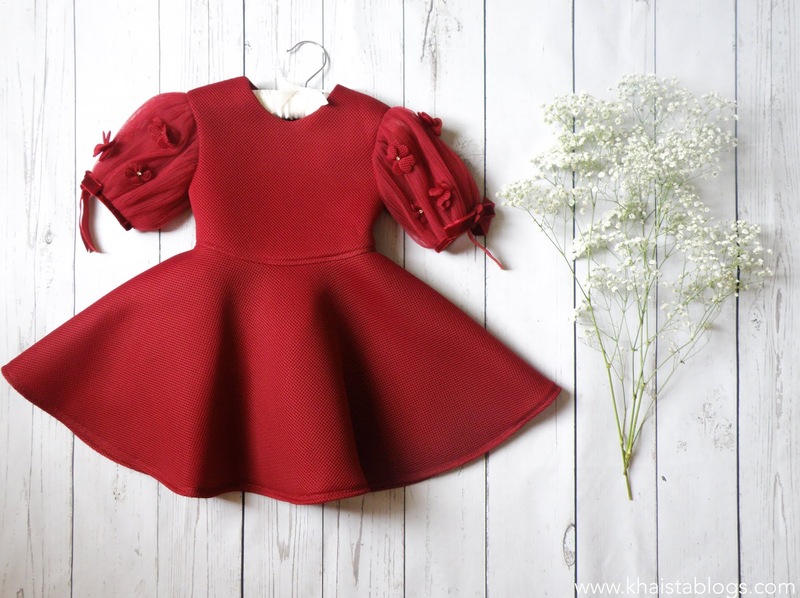 Now, a year later, I am planning for her first birthday and writing a review post of luxury children’s dresses for Eid. Where has 2018 gone? How is it even possible? Not a clue. However, it gives me an immense pleasure that we are moving forward, all happy and healthy and celebrating all the goodness of life together. Our first Eid with my baby girl was a bit chaotic as I was (don’t want to say it but it's true) suffering from a new mum syndrome. However this time we are preparing in advance. Let’s say life is little at place. To make happy moments more memorable David Charles childrenwear offered us a very fancy, luxurious dress from their Eid collection to review. David Charles is a luxury childrenwear brand who offers fancy and quality girl’s designer dresses for all special occasions. Their Eid selection is without any doubt outstanding. 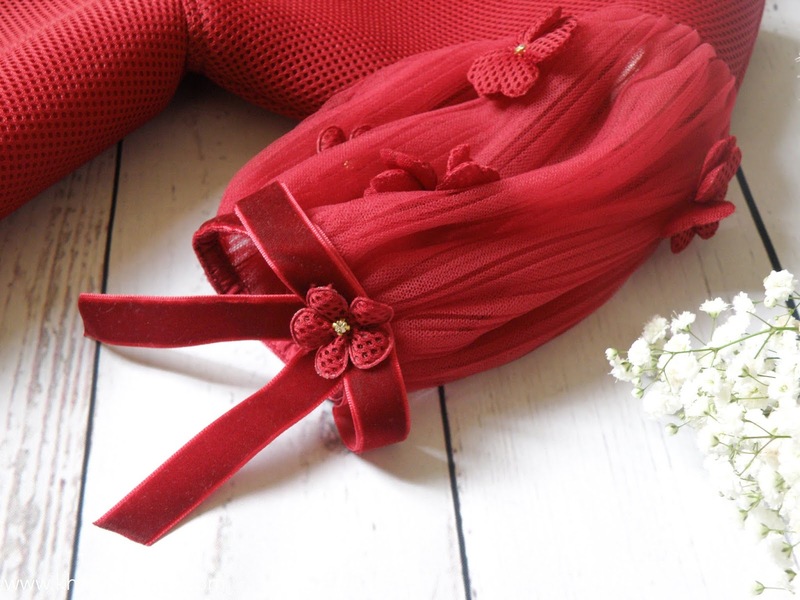 The colour palette chosen for selection is rich, vibrant and eye catching – which is totally Eid vibe. We chose wine floral celebration dress. It is a stunning little dress. I absolutely love skater dresses and balloon sleeves and when both are combined in one piece, how could I resist it? It may feel like I got this dress for myself but be assured I can’t fit into it – ha ha. Sleeves are decorated with same colour flowers and bow which add a bit more sweetness to the dress. The skirt part is made of thin foam kind of material (not actual sponge) to give it movement and shape. 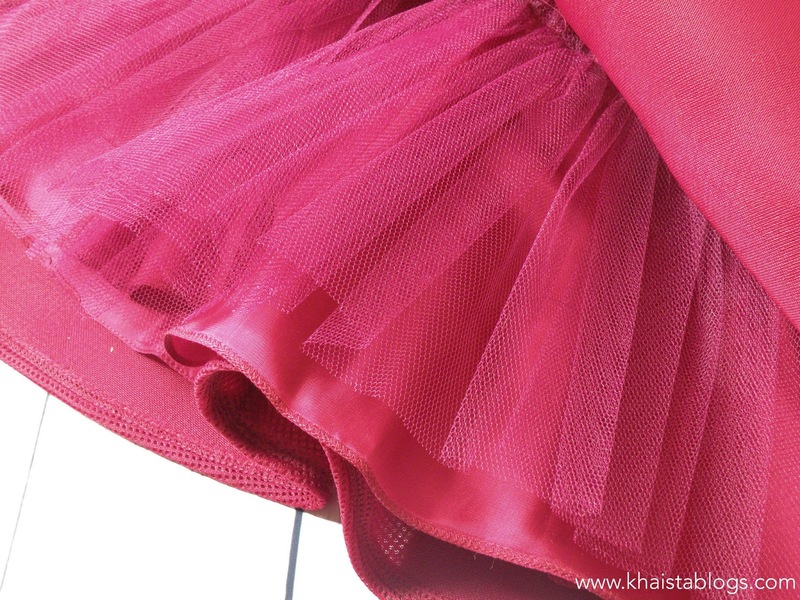 Skirt is also lined with tulle net fabric to make it extra poofy. The dress is made of high quality material and seams are done very well. 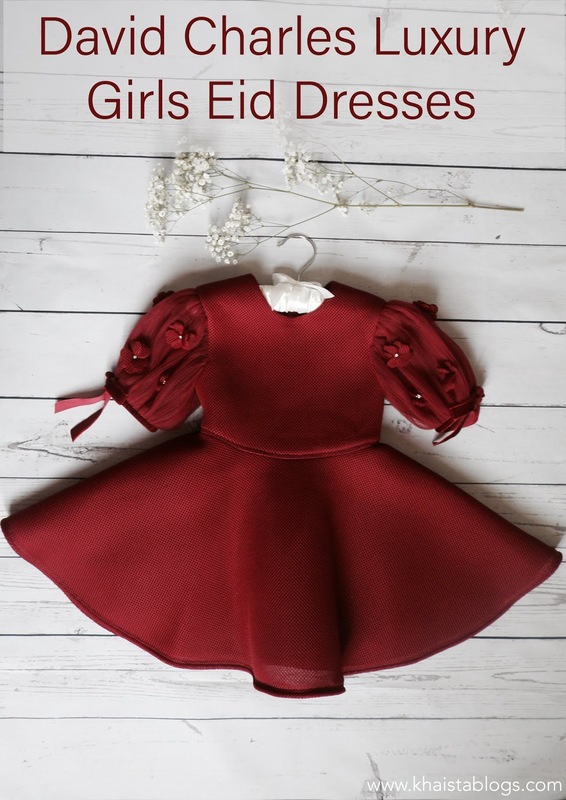 This dress is on slim side so if your child is in between sizes, opt for a size up. It is a dream dress for any day or night occasion and my baby girl will look adorable in it. The only flaw I could found was the price. It is so expensive, however if you are looking for that one dress then do check David Charles collection. Highly recommended! 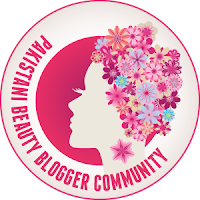 *Disclaimer: This article contains PR samples. However all views are my own. Happy meadow designs is a new baby clothing brand with lovely hand drawn and hand printed designs on baby clothes and accessories. All designs are inspired from nature, wildlife and countryside. Designs are printed in gold, silver and rose gold foil. Happy meadow design makes clothing items for the first year of baby's life to give a very special welcome to our little ones.